Investors appear to have welcomed a report which says that the US is considering at least a partial lift of tariffs on Chinese products in a bid to encourage Beijing to further open its markets to foreign goods. All European markets were up between 1.23 and 2.63 per cent with the FTSE 100 defying Brexit uncertainty in favor of optimism that there may be a trade breakthrough between China and the US. On Thursday, Bloomberg news reported that US Treasury Secretary Steven Mnuchin was deliberating on an idea to spur Chinese concessions by walking back tariffs on that country’s exports to the US. 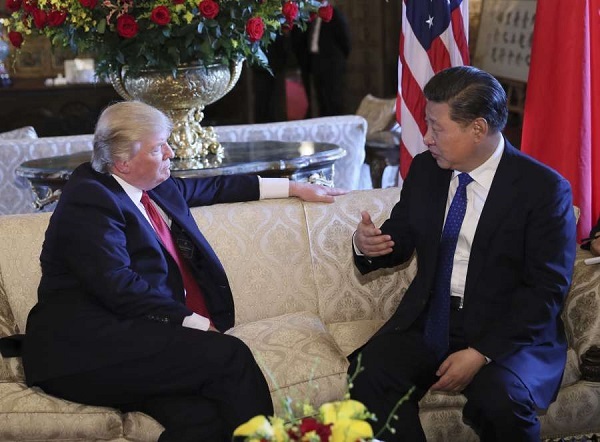 The two countries have held several cycles of trade talks since US President Donald Trump announced a three-month freeze on additional Chinese tariffs during the G20 Summit in Argentina in early December. American and Chinese, in addition to the IMF and World Bank, economic experts have urged both governments to reach an agreement before the freeze expires on March 1. In China, the Hang Seng index closed 1.14 per cent up while the benchmark Shanghai Composite was up 1.42 per cent. This pulled up other Asian stocks: Japan’s Nikkei closed up 1.29 per cent, while South Korea’s Kospi rose 0.82 per cent. In the US, markets all opened up on reports that China could propose buying about $1 trillion in US goods by 2024, thereby erasing the US trade deficit between the two. At press time, the Dow Jones had jumped more than 300 points to a midday high of 24711, registering an increase of 1.40 per cent, while the Nasdaq was up 1.33 per cent, and the S&P 500 up 1.44 per cent.